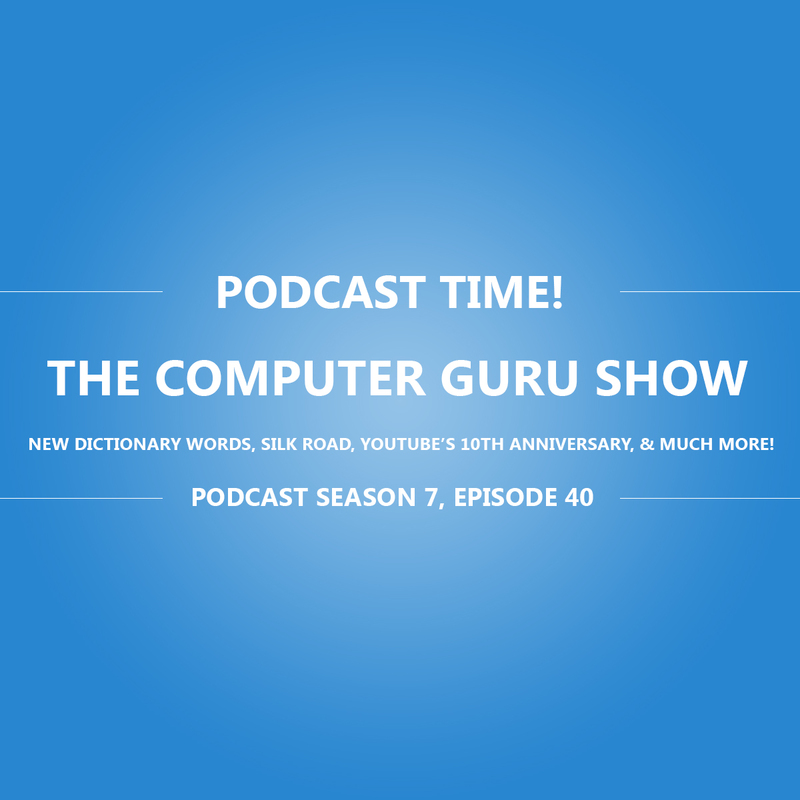 Podcast S7E40 – New dictionary words, Silk Road, Youtube’s 10th anniversary, and much more! New dictionary words, Silk Road, Youtube’s 10th anniversary, and much more! Many discussions of much news were afoot at the Computer Guru show today. Mike, Tara, Cat, and Ron weigh in on lots of interesting tech-related news. Segment 1 1700 new words added to the dictionary, mainly focused on internet and technology. Silk Road founder sentenced to life in prison Segment 2 Google announces Android M YouTube's 10th Anniversary Segment 3 Patriot act set to expire (finally) Shane calls in to weigh in on the Patriot act. AT&T data caps, Net Neutrality, discussions about ISPs in general Segment 4 They argue about how to pronounce data. Really, guys? Slow day in tech, eh? Mark called in to say data should be pronounced with a short a 3D Printing could help with the beetus? Diabetes Type 1 could have a new form of treatment.